I thought I would share the mods I've done for my UMX Timber. 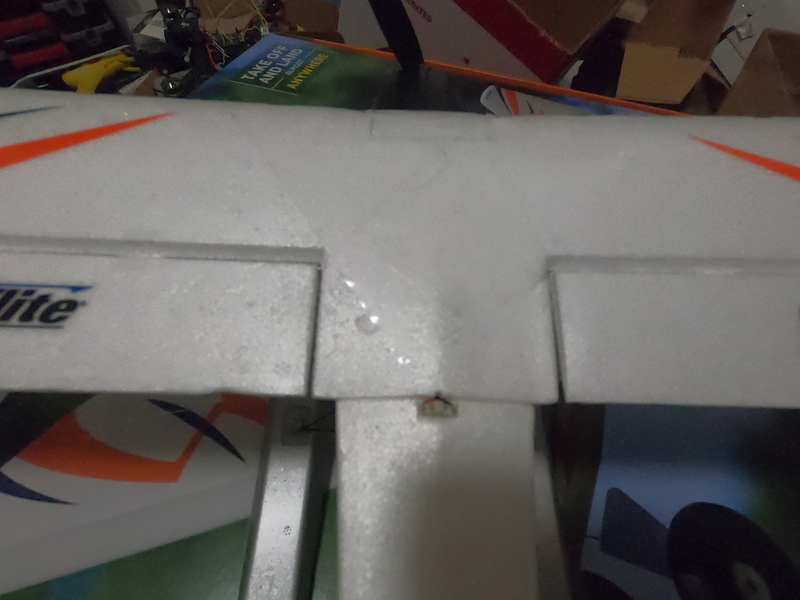 1 strip of clear packing tape along the leading edge to reinforce the wing and a diagonal X brace on top of the fuselage since the wings seem a little weak near the flaps. 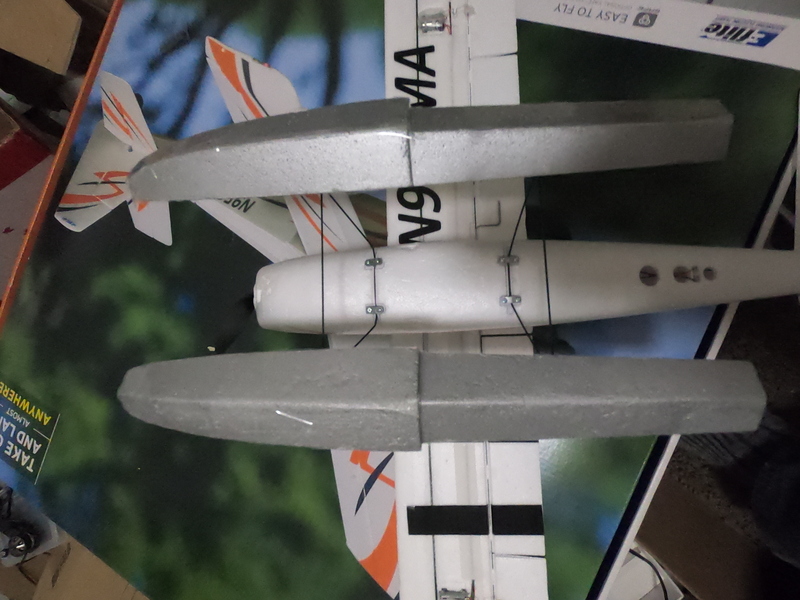 3d printed vortex generators in front of the ailerons. I've seen lots of discussion about the vortex generators. Personally I think they make the ailerons more effective at slower speeds. They are space 1/2 inch apart. The location is around the same area that l used on my Mini-Guinea. I determined the best location on the Mini-Guinea base on a rudimentary wind tunnelish device I made. Hope these mods help someone else's plane last longer. Nice mods. Did you share the vortex generators stl file on Thingiverse? Do you use the vortex generators in addition to the leading edge slats? 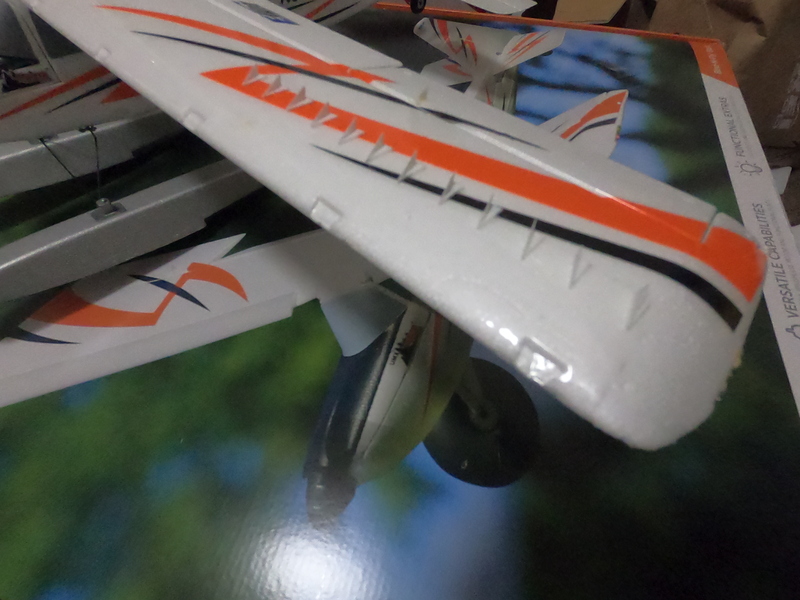 Also, do you know the size of the main and tail wheel tires? My Timber will be here Saturday and I want to order a set of Do-bro tires as I don't really like the look of the stock tires. At this point I don't use the slats. I'll get you the tire size later unless someone else jumps in here.